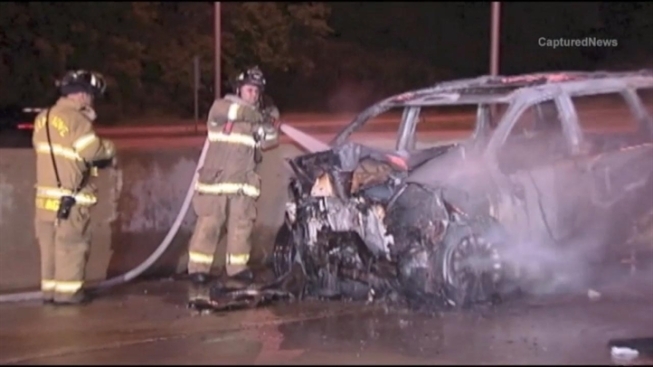 A woman survived a fiery crash in suburban Chicago early Wednesday thanks to a good Samaritan who helped her escape the wreck. State Police said the woman crossed four lanes of traffic on northbound I-290 in Elk Grove Village before slamming into a concrete barrier. The witness who saved her was on his way home from "Fast & Furious 6" when he saw what looked like a scene from the movie. "I just saw her come over this [expressway] and then careen right into this wall," Austin Ketelsen said. "Jeez, everything was just so fast." Ketelsen also moved fast, running over to get the driver out of the minivan before it burst into flames. Ketelsen said the woman's face was bleeding and she seemed dazed when he told her she had to get out of the vehicle because it was on fire. 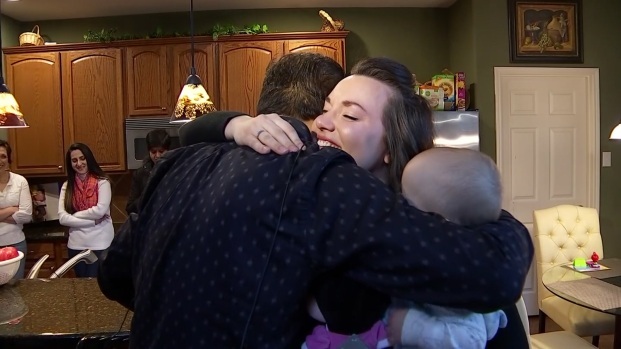 Austin Ketelsen was on his way home from seeing "Fast & Furious 6" when he saw a woman's minivan crash on Interstate-290 and helped her out of the vehicle to safety. Ketelsen describes what happened. Read the full story here. "I could tell that she was rummaging for something, like maybe her phone," he said. "We were like, 'Miss, your car's on fire. You need to get out.'" The two walked away before the minivan became fully engulfed. The woman was taken by ambulance to Alexian Brothers Hospital. It's not clear how bad her injuries are. Firefighters said the woman has Ketelsen to thank for saving her life. "We appreciate their efforts and any other bystander that stopped and offered assistance," Battalion Chief Scott Peterson said. "That made it a happy ending tonight, that we didn't have a fatality and we were able to successfully get her out of that van before it got engulfed in fire." Firefighters were able to put out the fire without traffic issues. State Police said the woman was charged with driving under the influence.